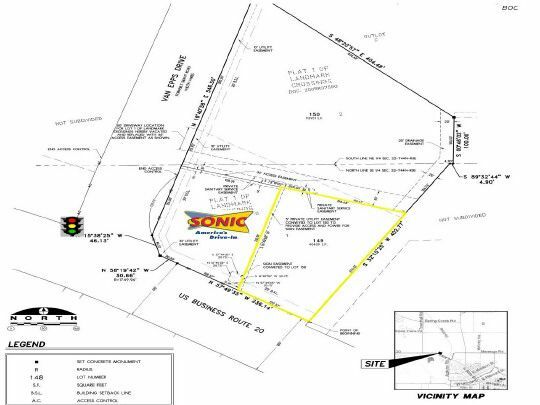 0.928 AC, FULLY DEVELOPED LOT WITH OVER127 OF STATE ST FRONTAGE. ACCESS VIA FULLY SIGNALED INTERSECTION OF STATEAND VAN EPPS. NEAR 3 NEW SCHOOLS. IDEAL FOR RESTAURANT, RETAIL, BANK,CONVENIENCE, GAS. BROKER INTEREST. $1,894 would be your approximate monthly principal and interest payment. This payment is based on a 30-year loan at a fixed rate of 4.12 % with a down payment of $43,439. Actual lender interest rates and loan programs may vary.